NEOPIA CENTRAL - I am a fan of many, many Neopians here. I won't name names because of favouritism and of embarrassment, but I have written fan mail and I have immensely enjoyed looking at other folks' work. But how can one work up the courage to write? What's the etiquette for these situations? In this article I will try to explain some of these tougher things. If you like something enough to want to contact its creator about, you'll probably want to turn to Neomails. First off, people can get nervous about Neomailing, but while this is normal, it isn't necessary. After all, the person is just a human, just like you, and likely to be far less snobby than some actors and actresses you could snail-mail fan mail to. "hey man, I just read your times article and I gotta say it was okay but ummm I kinda hated some parts and other parts were okay. Listen please be my Neofriend and respond within three days or I will report you." Notice the things obviously wrong with this mail. It doesn't use proper grammar or spelling (something you'll want to consider if writing to an author), the criticism is not constructive (what parts were bad, and which were good? ), and demands are placed upon the author (threats of report). This Neomail, if sent to me, would likely get no response or a report, not a good response. "Hi! I just read your article in The Neopian Times. I have to say, it was very good and I especially enjoyed the character of Energi. She was played very well. However, I was wondering why she was so mean to her younger brother at the end; it didn't seem to have any explanation. Could you explain that to me? Thanks." You don't have to always compliment the author. Note that this sample is complimentary, but contains a few constructive criticisms as well. The specifics mentioned will probably convince the author that this person read the story, and allows the author to have something to say when they respond. Not all authors respond immediately, or at all, to Neomails. Some put it off and do the replies when they have time; others never do. If you do not receive a reply, send either a polite note asking if they received it, or wait until you have something else to comment on and send that. Make sure, also, that you send replies to the correct person. A couple of times I've gotten Neomails meant for authors who wrote stories ordered above or below mine, and I forward those along to the correct authors. Others may not do that, so be careful. 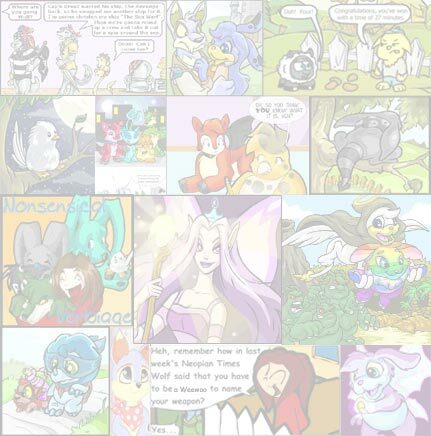 Often people faced with their first 15 minutes of fame on Neopets will be bewildered when they start receiving Neofriend requests from people they never heard of, with no accompanying Neomails. I know I was baffled myself. Some of these people legitimately like to have Neofriends they can talk to, but others may want to use your name (especially if you're really a famous Neopian) in bad ways... stuff like "I'm best friends with [name]!" and such. "Hi! I really enjoyed your [whatever... caption, battle, store] and thought you sounded like an interesting person, so I thought I'd drop you a line. If you want to talk more, let's be Neofriends so it will be easier." Then send along the request, or wait until they reply. That way, the person knows you and is expecting the request; it won't seem like it's coming out of nowhere. 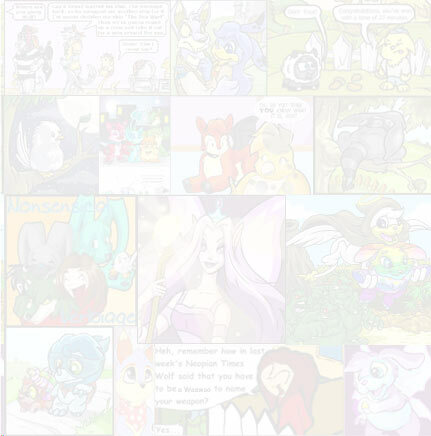 Some folks are famous in chat alone, whether in one "room" or all, but it's more common for famous Neopians to make a minor comment or make a chat board. If you liked a comment by a person, or if you recognised the name and want to gush, what should you do? Well, say it! If you thought a reply was very clever, say "LOL, that's funny, [name]." If you noticed the person's name, say "Hey, I recognise you. You got the high score in Cheat!, didn't you?" or Neomail them and say the same. If you see someone you dislike, do not say that... you will be frozen and called a 'troll'. Not good. Sometimes, you'll see an ad you're just impressed with, and you want to know how the person did that. I'd advise you to first read the pages of the Neopets Help (there's a new section on designing logos, using a program most computers come with, Microsoft Paint), and read other graphic design sites. Then ask the person for tips or ask who made the image for them. You may find out that they requested the image from someone who makes logos for other people, and this can help you out; or you may find that they are willing to design yours for free or for payment. Be careful when entering the transaction but this can be very good. As long as you're polite, that is. If you see someone 'famous' hanging around in Chat, or if you see one of their stories or poems, while you need something desperately for your pet, you may be inclined to ask them, or beg, for that item. Please don't unless you already know this person through Neomails or other things. If you have had an ongoing conversation and both of you trust each other to a certain extent you may want to bring it up--"By the way, my Chia just came down with an absolutely dreadful case of Neopox; would you happen to know the cure?" --or ask directly for it. If you decide to abandon this tactic and immediately go barreling in demanding food or medicine you will most likely be rejected. If you ask for food, the person will say "there is cheap food available from the Omelette and Shop Wizard." Medicine? "The Healing Springs, after a while, will completely heal pets." NP? "Play the games." Toys? "Your pet will last for a bit without toys." That is, if you get a response at all. So, the best tactic is always to befriend the person, not alienate them. The overall theme, if you haven't guessed, to striking up a relationship with a "celebrity" is MANNERS. Be polite, at all times, unless you're at that point when you can kid around. Think before you blindly send off a missive, and consider the person's feelings, because that really is another person on another computer who worked hard to get where they are.